So this weekend I was in London, having booked my flights and accomodation months ago, not knowing quite what to expect. I was going for a protest along with what I was hoping would be a few more than just me, which is what had happened a few weeks previous when I went to the local JW convention in Glasgow! In the morning of the protest we still weren’t sure how the day was going to pan out, it was as if we were going into the unknown. Louise the organiser had tried to cover every eventuality, except for the one where head of security wanted to meet with us before we got anywhere near the arena. 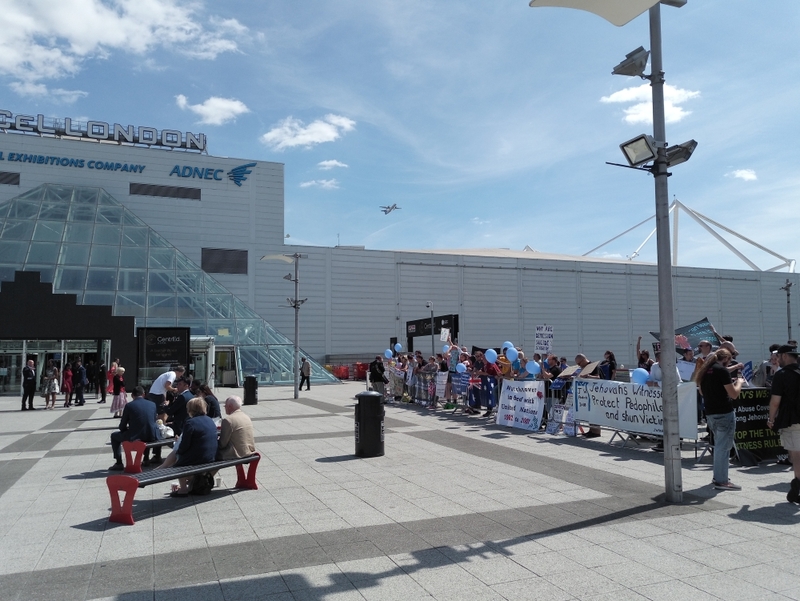 Well there was nothing to be concerned about, they appreciated we wanted a peaceful protest and the owners of the arena had ‘gifted’ us a piece of their land cordoned off for us to gather together with our banners and friends. So as the day went on we had over 100 standing smiling, supporting each other and displaying our messages. What message? That Watchtower is seriously failing their members, in many ways but especially in the safeguarding of their children. And the JWs attending their convention certainly saw us, and many took note. In fact some even took the courage to come over and speak with us, either quizzing us about our message or thanking us for highlighting it. Would I do it again? Without a doubt, it was a well worth it both for those of us who travelled from 13 different countries around the globe but also those that paid a little more attention to our message than they were allowed to!